Earth Day is now a global annual event that is believed to have more than 1 billion people in 192 countries taking part in what is the largest civic-focused day of action in the world. It is a day of political action and civic participation. People march, sign petitions, meet with their elected officials, plant trees, clean up their towns and roads and more. Fashion Revolution Week is a global movement that has been activated in over 100 countries in just 6 years. 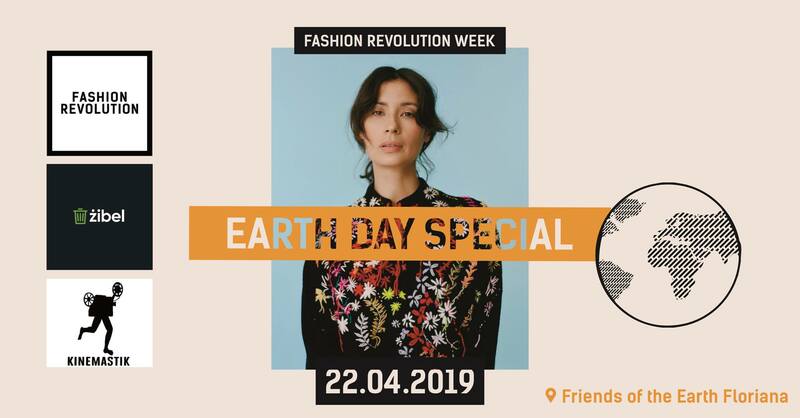 Fashion Revolution was ignited by the fourth largest industrial disaster in history, that took place on the 24th April 2013 – the collapse of the Rana Plaza garment factory in Bangladesh which killed 1,138 people and injured another 2,500. Since then, people from all over the world have come together to use the power of fashion to change the world. We want to unite people and organisations to work together towards radically changing the way our clothes are sourced, produced and consumed, so that our clothing is made in a safe, clean and fair way.